Spring Training is full blown which means baseball is right around the corner. We continue in our seven-part series previewing the seven American Conference teams in the Pacific Coast League the Colorado Springs Sky Sox will play this season. With the recent realignment of the PCL, the Sky Sox switched back to the American Conference after nine years in the Pacific Conference. The sixth featured team will be the New Orleans Zephyrs — the Triple-A affiliate for the Miami Marlins. The New Orleans Zephyrs franchise has been in existence since 1900, and was originally based in Kansas City until 1954 when they made the move to Colorado. Then called the Denver Bears, baseball has been in Denver ever since. The team would play as the Bears until 1984 when they underwent another name change to the Zephyrs. However, the Zephyrs only lasted until 1992 in Denver. That year, the MLB granted the city a major league team — the Colorado Rockies — and began play in 1993. 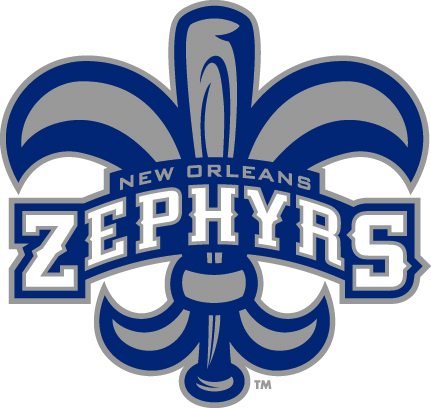 With a major league team now in Denver, the Zephyrs found their new home in New Orleans, where they have since stayed put. Since moving to New Orleans, the Zephyrs won the first ever Triple-A World Series in 1998, defeating Buffalo of the International League three games to one. The Zephyrs also were named PCL co-champions in 2001 and made it back to the PCL Championship in 2007, but ultimately lost to the Sacramento River Cats. New Orleans has been Miami’s Triple-A affiliate since 2009. Previous affiliates include the New York Mets (2007-08), Washington Nationals (2005-06), Houston Astros (1997-04), Milwaukee Brewers (1987-96), among others. The Zephyrs will play Colorado Springs 16 times this season, all of which are in the first three months of the season. Here’s a quick look at who fans at Security Service Field might see when the Sky Sox face the Zephyrs this season. LHP Andrew Heaney checks in as Miami’s highest-ranked player on MLB.com’s 2014 Top 100 prospects at No. 29. He pitched in 19 games (18 starts) between High-A Jupiter and Double-A Jacksonville. In 13 games while playing for Jupiter, Heaney was nearly lights out. In 61.2 innings, Heaney compiled a 5-2 record, had an ERA of 0.88 and struck out 66 batters against only 17 walks. He also limited opposing batters to a .193 average. In six games at Jacksonville, Heaney went 4-1 with an ERA of 2.94 and struck out 23 batters in 33.2 innings. He played college ball at Oklahoma State and was the Marlins’ first-round draft pick in 2012. OF Jake Marisnick was the Marlins’ top prospect last season and spent most of the season between Double-A Jacksonville and Miami. Marisnick played in 70 games in Jacksonville and hit .294 with 12 homers and 46 RBI before he got called up in late July to the Marlins. His success didn’t transfer over immediately to the major league level. In 40 games, Marisnick hit just .183. The former third-round pick of the Toronto Blue Jays, Marisnick was one of six players the Blue Jays dealt to Miami for Emilio Bonifacio, John Buck, Mark Buehrle, Josh Johnson and Jose Reyes. LHP Adam Conley was the club’s second-round draft pick in 2011 and spent all of 2013 with Double-A Jacksonville. Conley pitched in 26 games and finished with a record of 11-7. In 138.2 innings, Conley had an ERA of 3.28 and struck out 128 batters against just 37 walks. He also has been named an All-Star in each of his first two full seasons in professional baseball. Andy Haines will enter his first season at the helm of the New Orleans Zephyrs in 2014. This will be Haines’ sixth season as a manager in the Marlins organization and seventh season total with the club. Haines spent the past two seasons skippering the High-A Jupiter Hammerheads and the previous two seasons with the Low-A Greensboro Grasshoppers. In his six seasons managing, including 2007 with the Windy City Thunderbolts of the independent Frontier League, Haines has a career record of 389-335. Haines never played professional baseball, but was a catcher Olney Central Community College and Kentucky Wesleyan before playing for Eastern Illinois University. After his playing days were over, Haines coached for Olney Central and Middle Tennessee State before making the jump to the pro ranks. Notable Alumni: RHP Brad Lidge is possibly best known for his outstanding 2008 season with the Philadelphia Phillies when he converted all 41 of his save opportunities. He was an All-Star and finished the season with a 1.95 ERA while pitching 69.1 innings and striking out 92 batters. He also finished fourth in the Cy Young voting. When the Zephyrs were affiliated with the Astros, Lidge saw action in 24 games, including 19 starts, during the 2002 season. He compiled a record of 5-5 with an ERA of 3.39 in 111.2 innings. RHP Roy Oswalt was one of the Houston Astros’ best starting pitchers for the better part of a decade. In his 13-year big league career, Oswalt won 20 games twice and was crucial to the Astros making it to their first World Series in 2005, though they ultimately lost to the Chicago White Sox. That season, he went 20-12 with a 2.94 ERA and struck out 184 batters in 241.2 innings. In his 13 years, Oswalt compiled a career record of 163-102 and was one of the leagues most dependable starting pitchers. From 2002-2010, he tossed at least 200 innings in seven seasons. During his two stints with New Orleans in 2001 and 2003, Oswalt pitched in six games and went 2-3 with a 4.35 ERA while striking out 31 batters in 34 innings. OF Bobby Abreu was one of the most complete players during his tenure in the majors. He could hit for average, hit for power, run and walked a lot. During his 17 years, Abreu hit .292 with 287 home runs and 1,349 RBI. He also had 2,437 hits, 565 doubles, scored 1,441 times and had 1,456 walks. He also stole 399 bases with a career-high 40 in 2004. In 1997, Abreu played in 47 games for the Zephyrs and hit .268 with two home runs and 22 RBI. Recent match-ups: The Sky Sox are 4-4 against the Zephyrs since 2012. 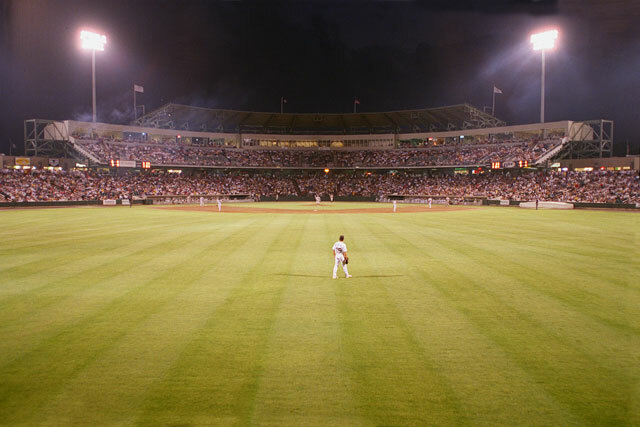 Memorable games – On April 25, 1998, the Sky Sox beat New Orleans, 21-13, at home. The Sky Sox have only scored at least 20 runs at home on 10 other occasions since moving to Colorado Springs in 1988. The feat happened again on August 19, 2004, when the Sky Sox beat New Orleans, 21-7, at home. On May 30, 2000, C Ben Petrick and 3B Scott McClain both drove in six RBI. It was only the second time in franchise history that two Sky Sox players both had at least six RBI in the same game. The first time was on Sept. 13, 1992 during Game 5 of the PCL Southern Division Playoffs against Las Vegas. Sky Sox players Jim Thome and Nelson Liriano each had six RBI to help lead Colorado Springs to a 23-1 victory and clinch a spot in the PCL Championship Series. Liriano went 3-for-4 with a grand slam, while Thome went 2-for-5 with two home runs.